Potholders aren't just for keeping hands from getting burned, they keep table surfaces from being damaged and they can also make the room smell good. Yes, there are potholders with just a little potpourri sewn inside so when they connect with heat, they will make a room smell so good. 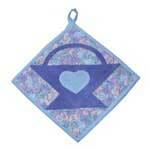 Have fun making one or several potholders for your table. 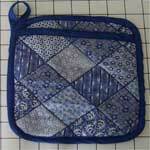 Below you will find potholder patterns for everyday or themed potholders for special occasions. 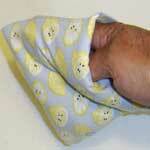 This mitt can be used as a regular potholder & keeps your hand safe from heat as an oven mitt. 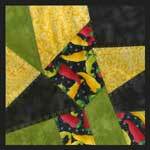 This one is easy to make, plus it teaches new quilting skills. A simple project and a great way to protect your table...smells good too. 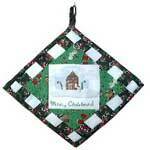 Make this Christmas potholder for your kitchen or for a friend. 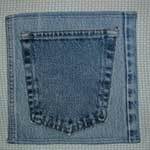 The finished item is about 8 inches square and it’s a very cute way to repurpose some old jeans. 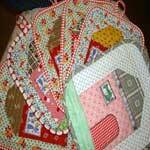 An old blanket, towel or quilted scraps are usable for this project. 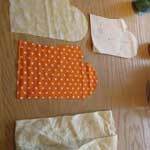 If you have old towels and washcloths, turn them into potholders and heres how. 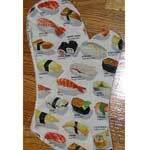 You can choose fabrics to match your kitchen decor perfectly by making your own oven mitts. 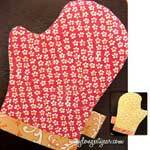 This project offers step-by-step photos and simple sewing instructions to help you make an oven mitt. 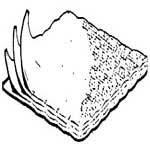 Just have materials ready and follow the steps and you have a homemade oven mitt. The instructions for how to make a hotpad couldn’t be easier...just look. 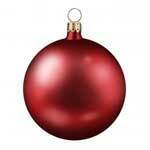 This project works great at using up all the scraps you have laying around. 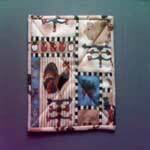 This pattern makes a very pretty quilt block that can be used to make a hot pad. 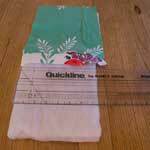 Crazy quilting is a great way to use up scraps and to make this crazy potholder. This is a very cute project and if you’re looking for a small quilting type project this is it.